I am just recently back from a week away in London with my boyfriend and his family. 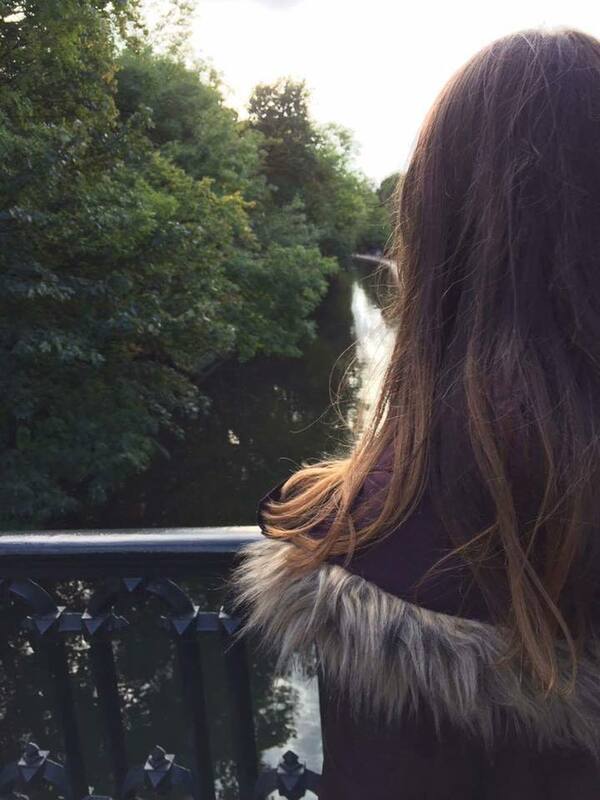 I was very lucky to be taken along and visit London for my first time. I thought I would share a handful of the snaps and sights I saw with you all. If you follow me on Instagram (@_coffeewithk), then you would have saw my regular updates – but if not, this is what I got up to in London! 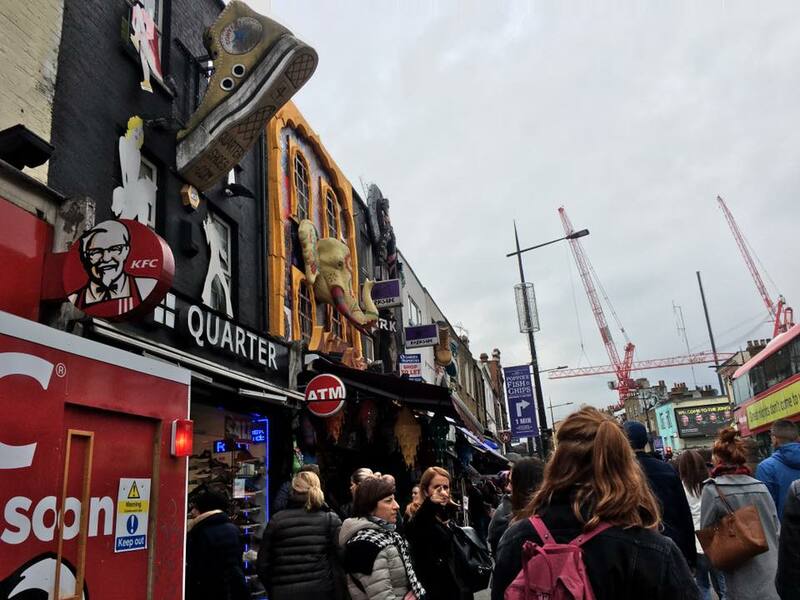 On the first day we visited Camden town, and explored the streets and markets it had. I made a visit to The Cereal Killer Cafe of course and grabbed some food there. I really didn’t expect the cafe to look like what it was – I didn’t manage to get a great photo as the lighting was pretty dull but to put it into a nutshell, there were beds you could sit on and eat your food. Who knew you could have breakfast in bed while in a cafe?! 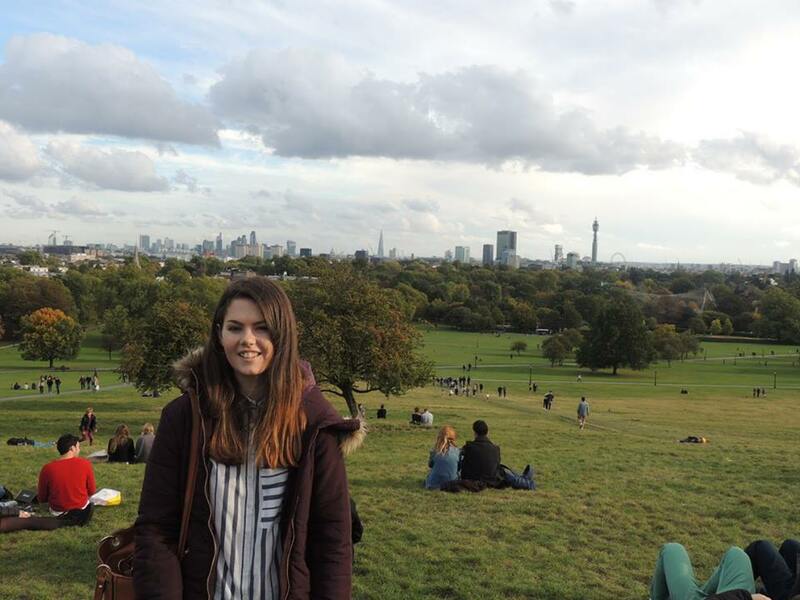 We then explored the various parks in London, and walked to the top of Primrose hill to see this view. This picture does not do it justice, but it will have to do! Of course I couldn’t go to London and miss out on one of the most iconic tourist destinations. We took a walk through Trafalgar Square, past Westminster and Big Ben (who was bigger than I thought he would be – sorry, he just is a he and not an it.) and then across Westminster Bridge. 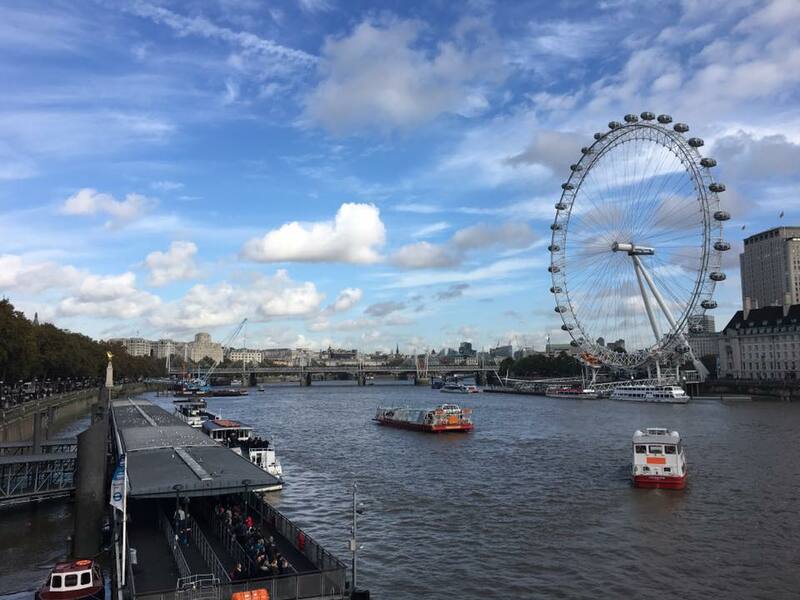 We never actually went on the London Eye as there were big queues and we knew we were going to be seeing an even greater view later on that day! 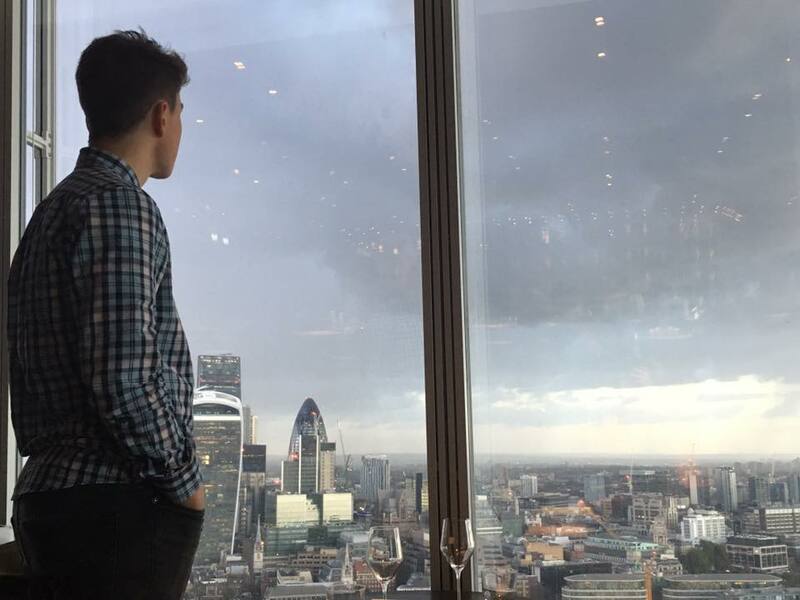 One of my best moments in London – the view from the 32nd floor of The Shard. Again, a photo doesn’t show the same impact as in person, but watching the sunset from up here was amazing. It was even prettier when it got dark. Out of curiosity, we also googled the prices for the hotel in The Shard for one night. I dare you to. 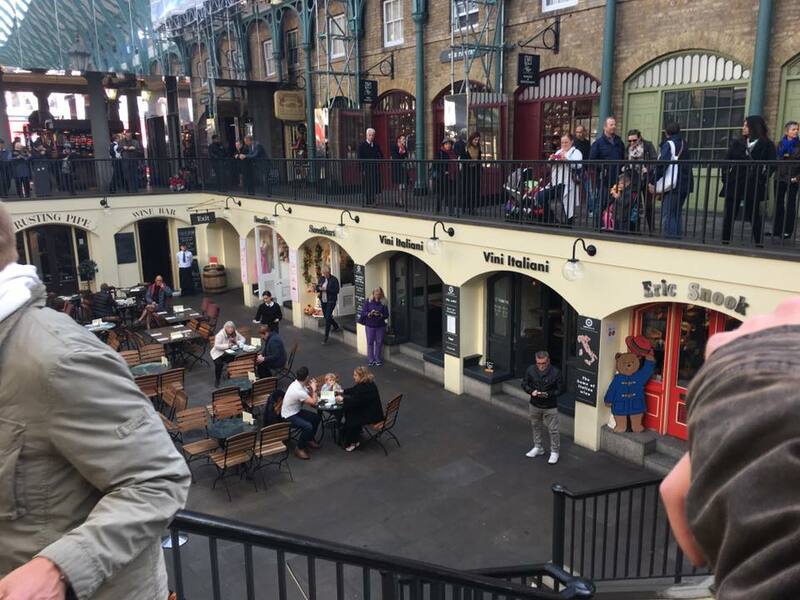 This is only a small snippet of my London experience – I could honestly write a short novel if I carried on any more so I shall stop here. 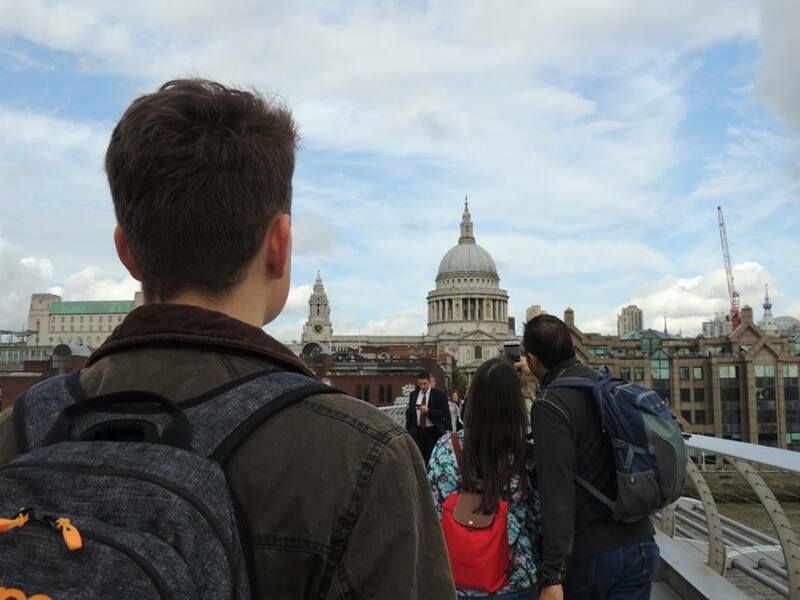 During my time in London I have, walked 43 miles, experienced the underground during rush hour, been to see a West End theatre, dined in new restaurants, saw London from a scarily high height and saw so many pretty sights.